Is there a best time or date to promote your books? 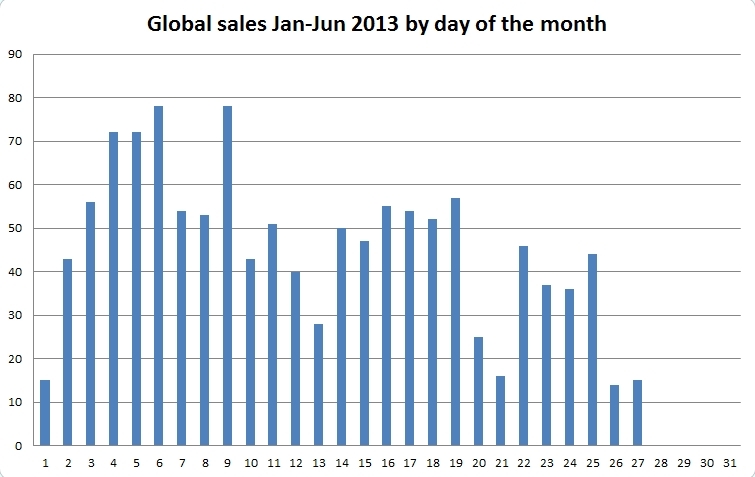 What’s immediately apparent is sales at the end and beginning of the month are either low or non-existent. Granted this only covers the first 6 months of this year but I perceive a pattern! Why would this happen? Could it be that my readers run out of money at the end of a month and probably pay most of their bills on the first day of each month? If that’s the case then giving away free books then should be a good idea. 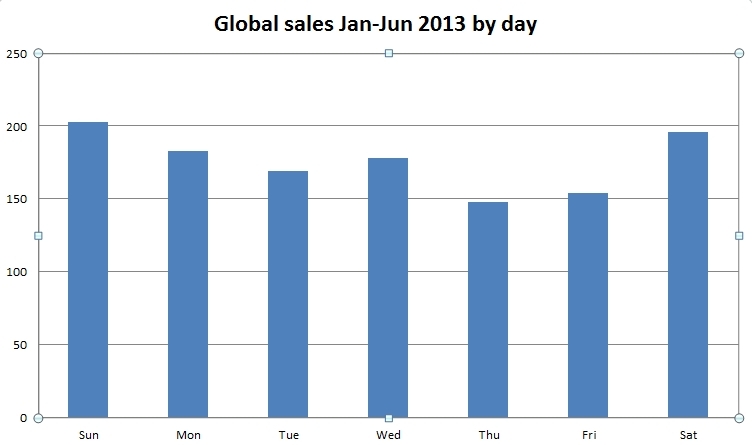 There isn’t a vast difference but it seems weekends are the best time to sell books and Thursday is a quiet day. It would seem there are good and bad times to promote. 5:00 pm UTC means: many people in the UK will be commuting home; The US is just staring lunch; Australia is asleep and New Zealand just about to wake up. At the other end 2:00 am UTC: The UK is asleep apart from the person who read all 9 of our A Vested Interest series (1.2 million words) in a 4 day marathon; The US is travelling home from work; Australia is busy working and New Zealand has just finished lunch. It does seem that 2:00 am and 7:00 am UTC are not the best times to schedule Tweets but not promoting then will mean you miss some sales. 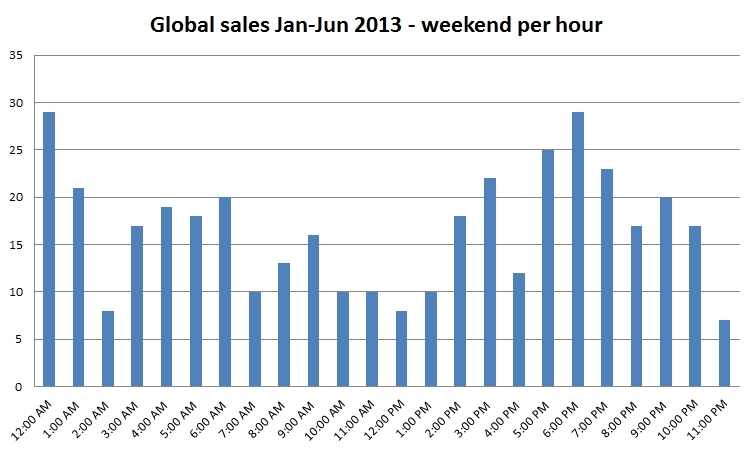 What about weekends – Do you get different results? Pretty much the same apart from 3:00 pm UTC when the UK and US are at work weekdays, Australia is going to bed and New Zealand is fast asleep. 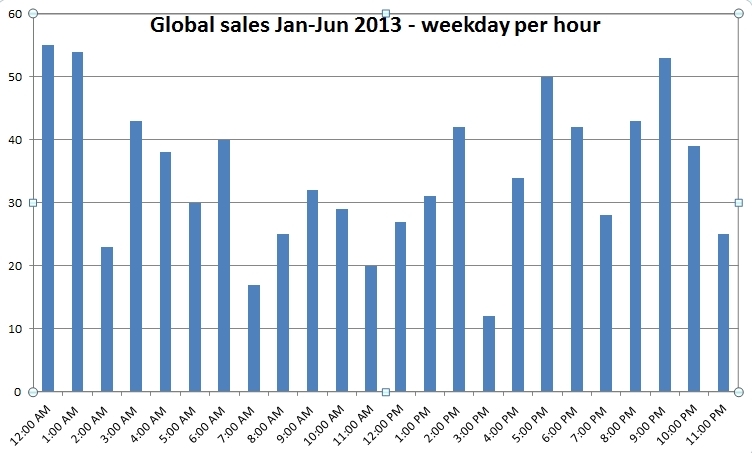 It seems weekdays at 3:00 pm is the worst time to promote. “Dark Secrets (A Vested Interest)” by Shelia Chapman, John Chapman (Kindle Edition) has sold 1 book on Amazon.co.uk on Monday, Jul 1, 2013 at 3am (GMT) Western Europe Time, London, Lisbon, Casablanca. It has jumped to a new Amazon SalesRank of 21,492 from a previous SalesRank of 41,322. I took all these emails for the last 6 months and tweeked them to fit a spreadsheet. If you do this your results won’t be exactly the same of course. We write a series and give away the first book free. I think it takes the average reader 10-20 days to read the first free book – at least, when we do a promotion, that’s how long it takes for the second book’s sales to start rising. 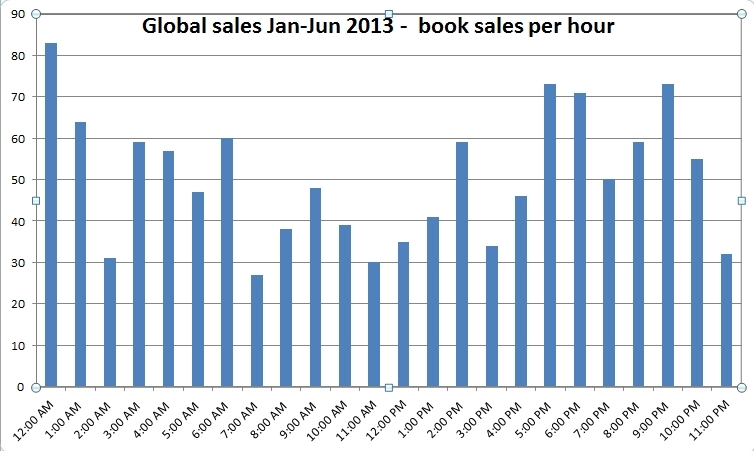 We sell more books than the average indie author but still not an astonishing number – not enough to live on. To get a more accurate picture we should compare our results with a few moderate sellers and a few top 100 indie authors. That would be possible since you can track other author’s sales too. I just don’t have the time though. Anyone want to help? ← Ready to create an ebook? Check again.